Chinese factories can be hesitant to address misunderstandings, so make sure your supplier understands your requirements before errors arise in QC inspection! If you’re manufacturing a product common to the West but absent from China, how can you know whether your Chinese supplier really understands how it works? And if you’re communicating your requirements through a third-party vendor, how can you ensure that the actual production staff at the factory will meet them? The short answer is: it’s not always easy. Experienced importers already know that misunderstandings are common when working with suppliers. Novice importers are more likely to mistakenly believe that their supplier has their expectations clearly in mind after only one telling. This belief is one of the most common misconceptions of QC in China. And it can lead to quality problems, production & shipping delays and other headaches. But whether you’re a seasoned importer or are just starting out, you may be wondering how to avoid the misunderstandings that lead to these problems. There are ways to communicate with your supplier so that no questions are left unanswered. Let’s explore the common reasons for misunderstandings and some best practices for avoiding confusion. Staff working for your Chinese supplier likely don’t speak English as their first language. Most vendors and some factories employ English-speaking staff to work with foreign customers. But there’s no guarantee of the English ability level of the person you’ll be dealing with. And even when you’re communicating with someone who seems to have a strong grasp of English, it’s best not to simply send them product specifications by email and expect them to fully understand. Keep emails short and simple. Avoid technical jargon when possible. Write short sentences and try to keep each email to one subject, rather than sending a lengthy email that attempts to cover too much ground. Follow up emails with a phone call. Chinese that can speak English tend to be more comfortable with written, rather than spoken, English. But it rarely hurts to call your supplier shortly after sending an important email to confirm their understanding. Getting them on the phone also often eliminates the need for frequent repeated dialogue through email and gives the representative an opportunity to ask any questions they might have. Collaborate in creating a QC checklist. A QC checklist is one of the most valuable tools for clarifying product requirements for your supplier and any staff that will conduct QC inspection. 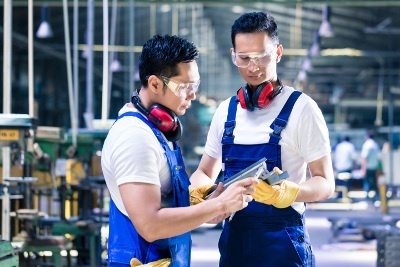 By working with your supplier directly to develop this document, you can ensure that workers manufacturing your product clearly understand expectations. Bring a translator if visiting your supplier. It’s possible to successfully source products from China without ever meeting with your supplier in person or visiting their factory. But if you plan to visit your Chinese supplier, you might want to consider bringing your own translator. Although not always necessary, bringing a translator can help clear up confusion. Download the WeChat app to contact your Chinese supplier contact quickly. The most popular chat app in China, WeChat can help you contact your supplier quickly and reliably. The free app also has a translate function, in case your supplier has trouble expressing something in English. WeChat is more useful for importers that visit their supplier occasionally. Product details and other specifications can get lost in translation between you and your Chinese supplier. But often the misunderstandings that importers attribute to language issues are actually the result of cultural misgivings (related: 3 Cultural Barriers You Must Face for Effective China Quality Control). These typically occur when your supplier contact understands what you’re saying but doesn’t respond the way you might expect a supplier in your home country to. A cultural difference can often lead to problems when your supplier prefers telling you what they think you want to hear, even when it’s not true. You’re more likely to experience this working with a sales representative from a supplier, as it’s their job to “sell” you on an order. It’s especially common for a Chinese supplier to give you highly optimistic lead times. For example, your supplier may tell you upfront that your order of 500 coffee tables from Foshan will be finished and packaged by April 1st. You may even follow up with the supplier by email periodically to ensure production stays on schedule. But then when you send staff to conduct pre-shipment inspection on the 1st, they may find the order is only half finished. This puts you in a difficult position. Depending on the severity of a delay, you may even be compelled to lower your quality standards if it means your order will be shipped sooner. Another cultural norm in China that can often affect your manufacturing experience is the concept of saving “face”. Chinese suppliers are sometimes hesitant to admit when they don’t understand your requirements because they’re afraid of appearing incompetent. 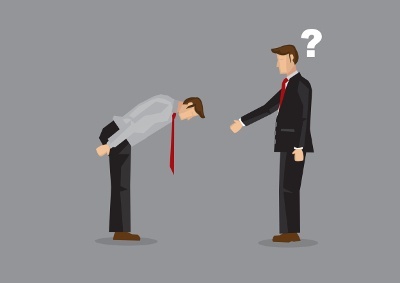 The result is that not only might your supplier avoid admitting when they’re wrong, but they might also be discouraged from asking questions when they’re unclear about your requirements—two qualities you almost never want in a supplier. Tell your supplier directly to keep you informed. Inform your supplier that you want to know if there are any requirements they can’t meet. Some compromises may be necessary, especially for products in development. Let them know that you’d rather hear about any “bad news” as early as possible because this helps you prepare and manage your customers. Encourage your supplier to ask questions. Just as following up an email with a phone call gives you the chance to verify your supplier’s understanding, asking them if they have questions can open them up. This often leads to a discussion, rather than your supplier keeping you in the dark and becoming increasingly unresponsive. Perform product inspection at regular intervals. Depending on production lead time, your budget and the relationship you have with your supplier, periodic inspection can be valuable. Besides reporting how closely production meets your requirements, inspection gives you insight into the progress and status of your shipment, helping you foresee and prevent delays (related: 4 Ways Importers Conduct Product Inspection). Your main contact when working with a Chinese supplier is often a sales representative. It may be that this person has a strong grasp of English, and there’s no language barrier. But there’s still the potential for misunderstandings. The representative is typically somewhat removed from the factory that will actually be manufacturing, both in terms of physical location and professional experience (related: 3 Reasons Your Supplier Might Be Sending You the Wrong Message). Let’s say you’re manufacturing garments and your supplier is a vendor based in Hong Kong. The factory is likely somewhere in Mainland China, or possibly, in a totally different country, such as Vietnam. Anytime you want an update on the status of your order, the supplier representative must first contact the production manager, or someone similar at the factory, and then relay that information back to you. As a result, the information you receive could be less timely and reliable than you’d like. Another consideration is that sales representatives working for Chinese suppliers may lack hands-on manufacturing experience. Often the only requirement suppliers have when hiring sales staff is that eligible candidates have a basic ability to communicate in English. This can be problematic when you’re trying to convey technical requirements and other product specifications through them to factory staff. Start clarifying your expectations early. A major reason for quality defects and nonconformities with products is that the importer waited until well into mass production to clarify their requirements. Clarify your requirements before production begins and send your supplier a QC checklist for your product. This gives the supplier plenty of time to discuss with you and staff at the factory so that everyone has the same understanding of what’s expected. Include someone on the production floor of the factory in your communications. Factory staff work with your product directly. But contacting them isn’t always easy. Vendors and trading companies are sometimes reluctant to share the contact details of the factory for fear that their customer will “cut them out” and deal with the factory directly. It may help put your supplier at ease if you can sign a non-compete agreement to assure them you won’t engage the factory directly to manufacture. Importers rarely consider the potential for misunderstandings when contracting a Chinese supplier to manufacture a foreign product that’s not commonly available in China. Most often this can affect the functionality and testing of the product. Without having first-hand experience using a product, factory staff may be unaware of the product’s intended use. 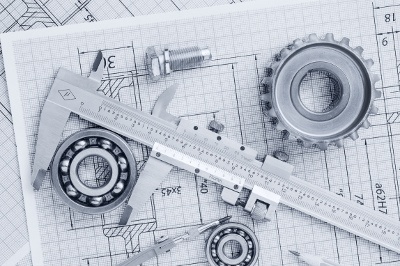 You’re more likely to encounter problems when manufacturing a product that uses foreign measuring systems by design. A standard, 8-oz “cup”, for example, is a unit for measuring volume in the United States. But Chinese manufacturers tend to use milliliters and other units of the metric system. When manufacturing an electric blender, your supplier may be confused about the product’s capacity if you’ve expressed it in ounces or cups, rather than using the more familiar unit milliliters. Some products simply aren’t common in China. For example, one importer was manufacturing ceramic dishes meant to hold a stick of butter. But butter is not a food that Chinese consumers typically buy. The importer’s Chinese supplier manufactured the dishes too small because they didn’t know the product was intended to hold a standard stick of butter. Had they been more familiar with the intended use, the supplier could have tested the dish early in production to verify its function. Factories often specialize in manufacturing particular product types, such as packaging or mobile electronics. But that doesn’t mean factory staff have actually used your product or others like it. As of this writing, a search for “clothes dryer” suppliers on Global Sources, an online search engine for finding suppliers, returns more than 133,000 results. But most of the top results are for products that bear little resemblance to the electric dryers you might be used to seeing in the West. Give your supplier a demonstration of your product. You don’t necessarily need to visit your supplier’s factory to give a demonstration. Often a short video tutorial showing how the product will be used is easy to record and equally effective. Collaborate with your supplier to create a user manual for your product. It’s often helpful to work with your supplier to develop a user manual for certain products. User manuals often contain instructions for using, testing and troubleshooting products. So your supplier will likely have a clearer understanding of your product if they’re familiar with the manual. Provide clear specifications in both your and the local measurement system. If you’re accustomed to using ounces in your product specifications, include milliliters as well. If you’re used to inches, include centimeters. Include these in your QC checklist. Suppliers are less likely to misunderstand your requirements when you express them in more familiar terms. Sourcing from China certainly presents communication and product QC challenges. But you can eliminate potential quality issues by diligently providing clear requirements. And by getting the right people involved in your product at the factory as well, you can take meaningful steps toward better quality. Remember that continued silence from your supplier is likely a sign that your order isn’t a high priority for them or that there are problems they’d rather not tell you about. Don’t subscribe to the philosophy that “no news is good news”, assuming that all must be going well if you’re not hearing from them. Instead, check in with your supplier by email or phone on a regular basis, if not by occasionally inspecting the product at the factory. What other advice do you have for ensuring your Chinese supplier understands your requirements? Share in the comments below! Samantha is from Singapore and attended Swinburne University in Melbourne, Australia. She joined InTouch in August 2016, after working in the IT industry. In her free time, Samantha enjoys jogging around Shenzhen. The last thing project managers need is more work on their plate. That's why we developed an online quality management system to help you simplify your QC processes and progress towards quality targets. Chinese factory explodes despite known safety violations, Cambodian exports to be subject to EU tariffs and reducing packaging waste in this week's roundup. Have you ever wanted to quickly analyze which suppliers are passing or failing inspection? Or track defects affecting your products? Our online quality management system offers you numerous KPIs to help you meet your QC goals.